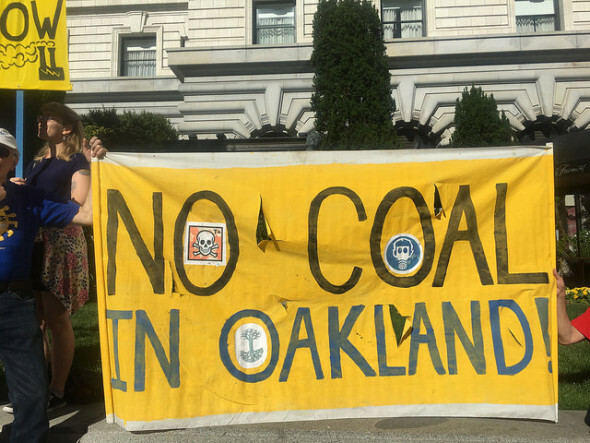 By divesting from coal companies, insurers can fulfill their basic mission: to protect us from catastrophic risk. 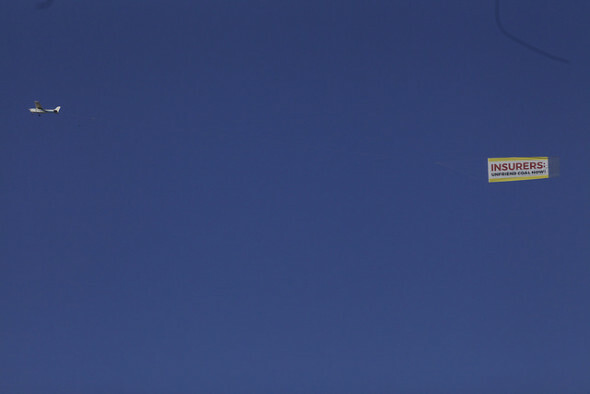 The banner display was part of a series of climate protests welcoming the insurance CEOs, who met in San Francisco at the invitation of the Geneva Association, an insurance think-tank. A letter was also sent to the individual CEOs, calling for them to move away from coal and invest in renewables. Climate change is the most serious risk our planet is facing, and burning coal is its biggest contributor. By stopping to insure and divesting from coal companies, insurers can fulfill their basic mission: to protect us from catastrophic risk. Research reports by Ceres and Profundo have found that 55 leading U.S. and European insurers have invested at least $590 billion in fossil fuel companies. Most property and casualty insurers also continue to insure and enable climate-destroying coal projects. So far, eight insurance companies have decided to divest from the coal sector, and AXA, the world’s biggest insurer, announced in April that it would no longer insure coal companies. 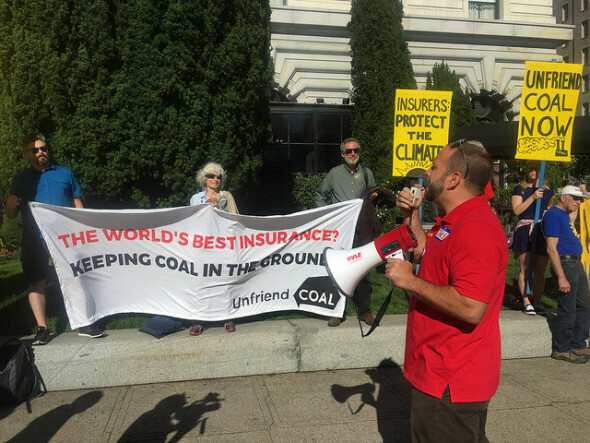 The Unfriend Coal coalition welcomed this initial progress and will rank the climate performance of 25 leading insurance companies in a scorecard released in the fall of 2017.